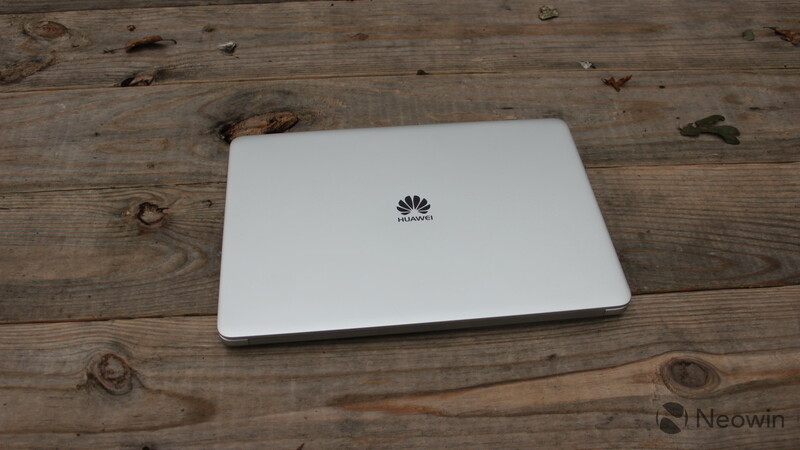 Back in June, Huawei introduced a variant of its MateBook D with an AMD Ryzen processor. At the time, the company said that it wasn't seeding review units. But you asked, so we asked, and asked again. Finally, Huawei sent me the MateBook D with an AMD Ryzen 5 2500U, and it's pretty awesome, given the price of $629. This is one of those PCs that just punches above its weight. 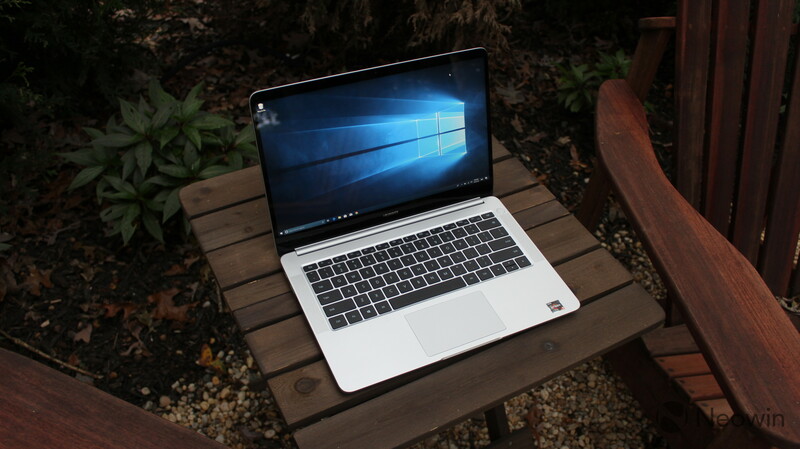 It's missing a couple of bells and whistles like Windows Hello, but with a premium build, solid performance, and an FHD display, it almost feels like the $629 price tag is cheating. 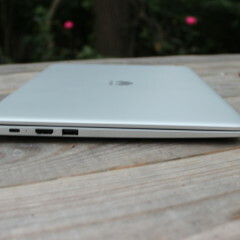 There's something about the design of the MateBook D that I love. It's strange, because it's not the thinnest or lightest thing on the market. 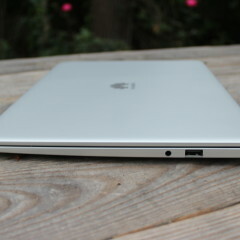 Maybe it's because Huawei didn't opt for the wedge shape design that so many other PCs are using. It just feels solid all around, and there's something about that that's just comforting. The body is made out of aluminum, and the bottom panel can be removed with nine screws. 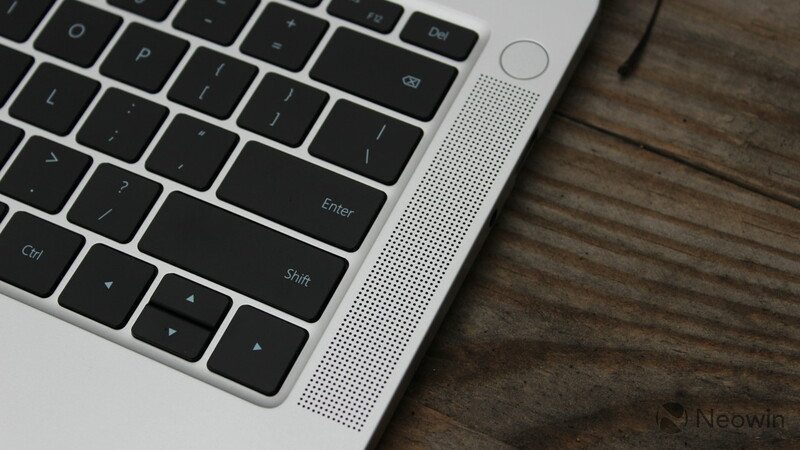 There's nothing that's quite original about the design; it's similar to a MacBook. The left side of the device is where you'll find the USB Type-C port, which is also the charging port. There's no proprietary charging port on this PC, and the Huawei charger adjusts its output according to what's attached to it, so you can safely charge your phone. There's also a USB Type-A and an HDMI port on the left side. On the right side, there's a USB Type-A port and a 3.5mm combo audio jack. Unfortunately, one of the Type-A ports is USB 2.0 and the other is USB 3.0, and Huawei doesn't provide any distinction between the two. Typically, the USB 3.0 port would be blue, or there would be the 'SS' logo to indicate it, but there are no color coordination or labels here. Upon inspecting the ports, you'll see that the one on the right is actually the USB 3.0 port, but I don't expect most end users to know the difference. On the left and right sides of the keyboard, there are dual speakers that are tuned for Dolby Atmos. They sound incredible, just as you'd expect from large Atmos speakers that fire straight up at you. Above the right speaker is the power button. I was disappointed to see that this isn't a fingerprint sensor. 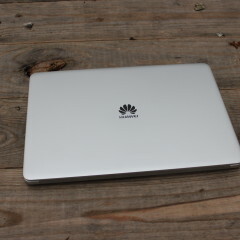 Those that read my reviews know that I love Huawei's fingerprint sensors, and I love the implementation on PCs. It's just one of those sacrifices that we're going to have to make at that $629 price point. 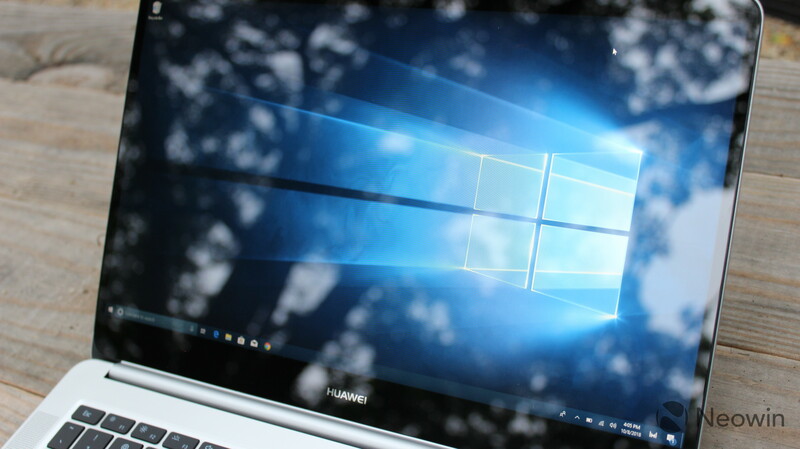 The Huawei MateBook D comes with a 14-inch 1080p display, with a 16:9 aspect ratio. I think that 16:9 is the right choice for a clamshell, as it leaves a wider screen to put apps side-by-side. 1080p was the right choice in resolution too, as it's not too hard on battery life. I'm really glad that the display isn't a place where Huawei compromised. The display has narrow bezels on the sides too, with a larger bezel on top to make room for a webcam. This makes for a pleasant experience, although the bezels aren't small enough for me to call it immersive. The display is bright enough for use indoors, but you might have a little bit of trouble outdoors. The screen is pretty glossy, and it gets reflective. Still, this is a solid screen for the price. That's what I love about the MateBook D. The core experience is absolutely there. 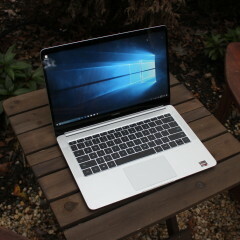 It compromises on Windows Hello and there's a USB 2.0 port, but it has the performance, the display, and the keyboard. 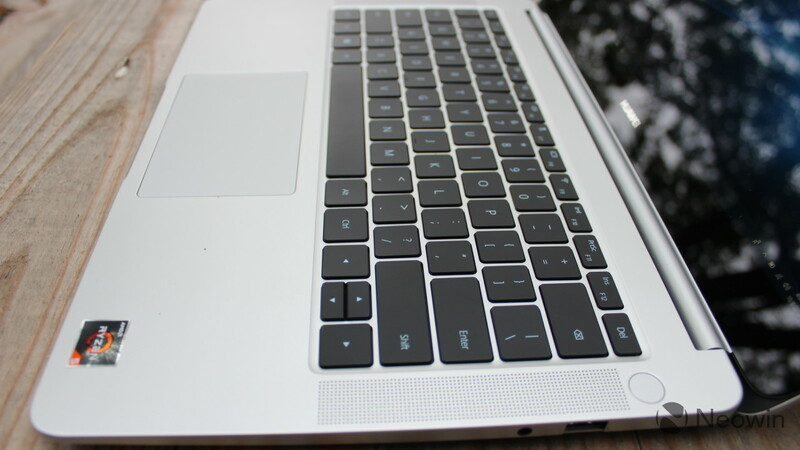 The keyboard is pretty standard on the MateBook D, for an ultrabook, and that's a good thing. 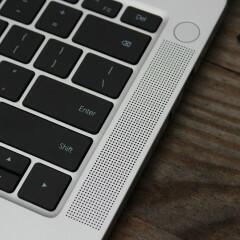 The keys are black and square, once again marking a similarity to a MacBook Pro. 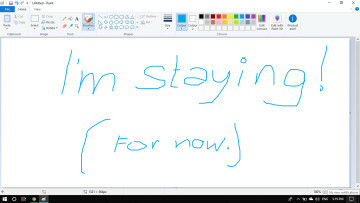 It's comfortable to type on, once again without the bells and whistles that you might find on other devices. I wouldn't go and compare it to something on a Lenovo ThinkPad or HP EliteBook, but I definitely think it beats out most PCs in this price range, and that's really what's important. The keys are pretty shallow, and you have to be comfortable with that. Shallow keyboards are the trend in ultrabooks these days, so if you're looking for a full 1.5mm of key travel, your choices are getting slimmer and slimmer. I've found it pretty easy to adapt to these shallower keys, and I don't think you'll have a problem. After all, I write articles for a living, so this is probably the section of the review that I care about the most. As a general rule, I write every PC's review on its own keyboard, and there are some times I have to give up. This isn't one of those times. 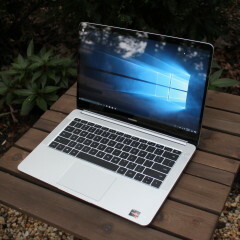 In fact, I could easily make the MateBook D my regular laptop, because it just checks the right boxes. This is actually my first time reviewing a laptop with an AMD Ryzen processor, so that's the thing I find exciting about it. And based on the requests for me to review this device, you might be thinking along the same lines. 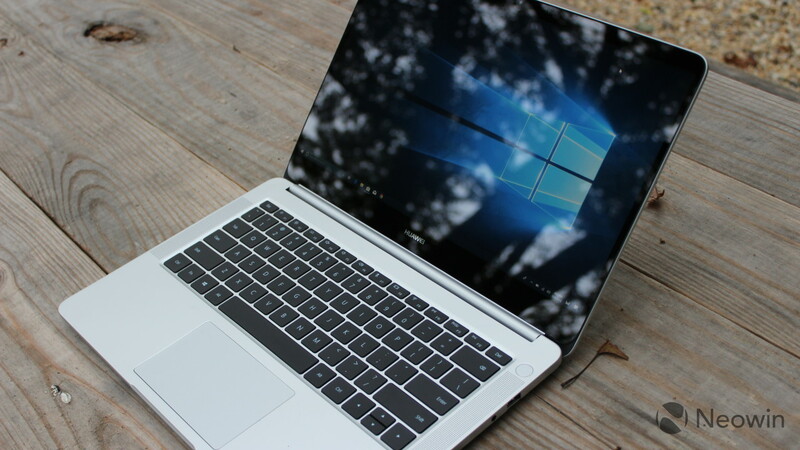 The MateBook D includes an AMD Ryzen 5 2500U processor, and AMD's naming scheme is similar to Intel's. 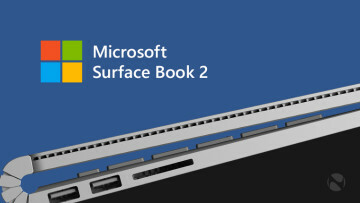 The '2' means it's from the second generation, and U-series is a low-power chip for laptops. Just like Intel's U-series, this CPU is a 14nm quad-core multi-threaded chip with a 15W TDP. 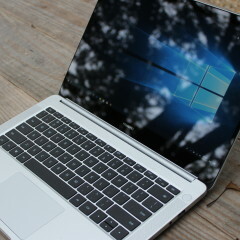 It also comes with 8GB RAM and a 256GB SSD. The whole package seems to have similar performance to an Intel Core i5. 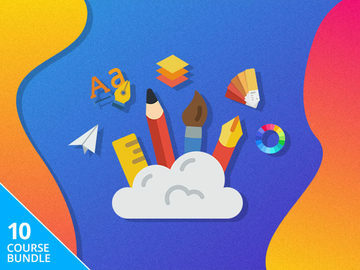 I used it for some Photoshop and Illustrator work, all while having my regular apps open like OneNote, a half dozen tabs in Chrome, Skype, and Slack. I didn't hit any snags, and I even played a few games on it like Star Trek Online. The Ryzen 5 processor did not disappoint. The Ryzen 5 2500U is what AMD refers to as an Accelerated Processing Unit, or APU. This is something that combines the CPU and the GPU - in this case, Radeon Vega 8 - onto the same die. With that in mind, graphics performance should be better than an Intel Core i5, which uses Intel's UHD Graphics 620. 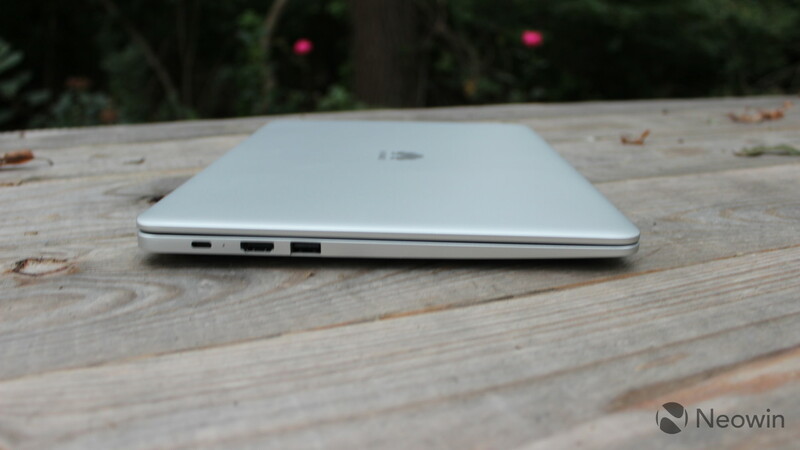 It's still not by much, as it's still a low-power chipset that's meant for ultrabook tasks. Just because AMD might have Radeon and therefore some additional GPU prowess, that doesn't mean that a 15W APU is going to destroy the competition. 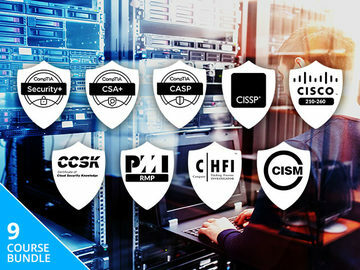 But at the end of the day, real-world performance is great, and that's what you need to know. Battery life is pretty good as well. I've found it to get around seven hours with average usage. 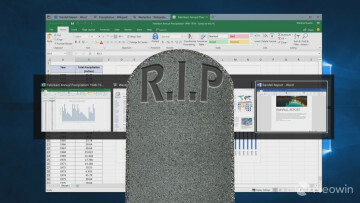 Remember that most PCs don't actually deliver the battery life they promise, as they're tested in ways that don't reflect real-world usage. Seven hours is pretty good. For benchmarks, I used PCMark 8, which offers three tests: Home, Creative, and Work. First up is Home, which checks common tasks like video chat, web browsing, casual gaming, and more. As you can see, the performance for average tasks is pretty good. Next up is the Creative test, which checks more GPU-intensive tasks like video editing and mainstream gaming. 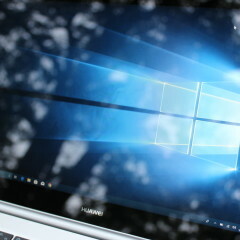 The MateBook D does fine on this test, although clearly it's not on par with more powerful PCs, which isn't surprising. Finally, the Work test checks productivity-related tasks like writing and spreadsheets. Once again, the MateBook D performed pretty well. It sits at that mainstream price point, and it just checks the right boxes. 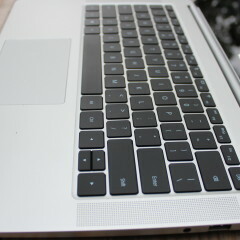 It has lovely build quality, great performance, a nice display, and a comfortable keyboard. It even has awesome audio quality, so you can comfortably watch movies and TV shows in full HD. 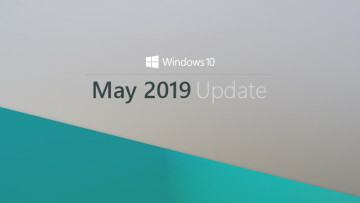 As I've said, it's missing a few things, like a fingerprint sensor for Windows Hello (which is included in the more expensive Intel model), and it would be nice if that USB 2.0 port was a full USB 3.0. Still, this is a wonderful device for $629. 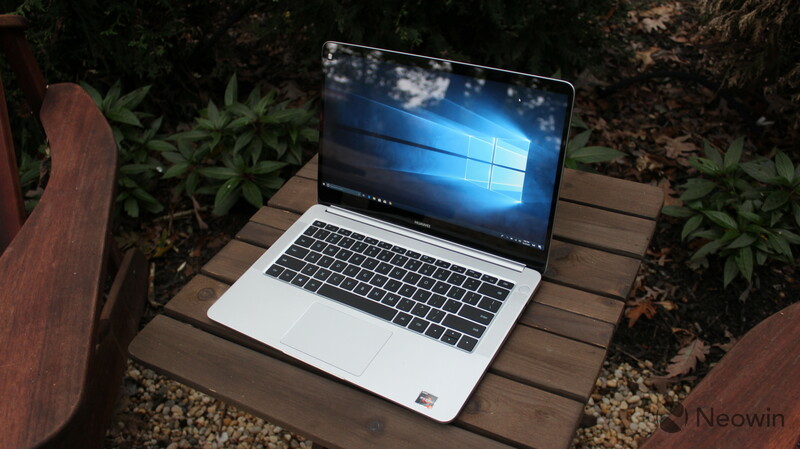 On our unboxing video, many commenters are reporting that some Walmarts are selling the MateBook D for $449, or for $593.75 on Amazon (at time of writing) and on top of that, the holiday season is coming up. 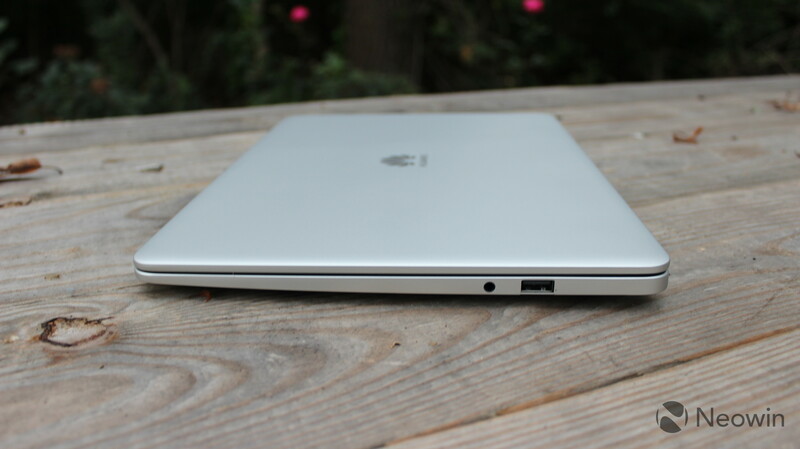 No matter how you slice it, the Huawei MateBook D is a solid deal, and if it hits your price point, you should buy it.